applications include industrial wastewater processes that inherently have a high chlorine demand thereby requiring a more robust monitoring method. It is essential to monitor the chlorine residual to ensure proper disinfection and to avoid permit violations. 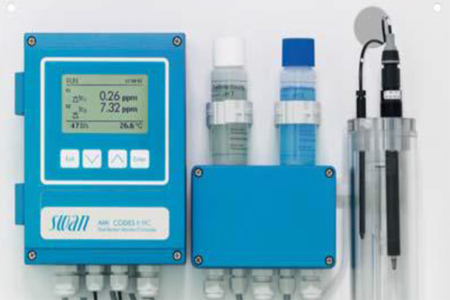 Grab sample monitoring is time consuming and costly and does not ensure proper control of the disinfection process. Continuous monitors can control the feed of chlorine to ensure proper disinfection, avoid permit violations, and avoid over feed of chlorine.